Good afternoon and happy Saturday. 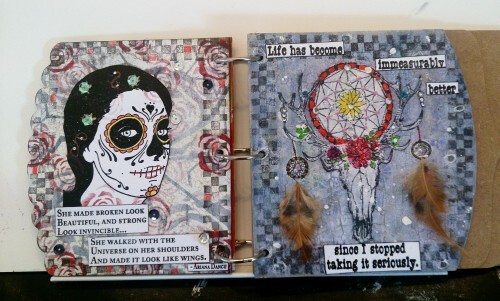 Following on from Halloween over at Lost Coast Designs we have the Day Of The Dead. 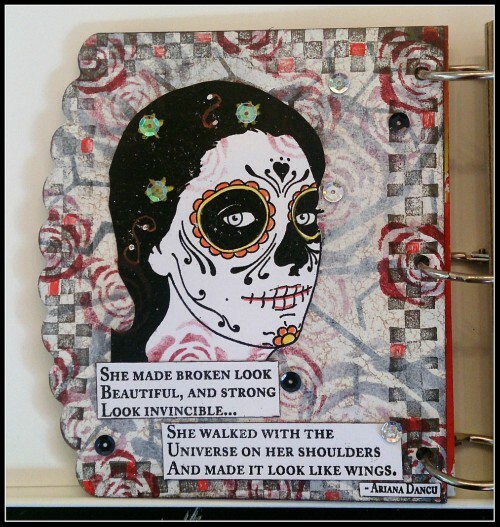 I've used Carmen's Veranda Sugar Skull Woman and Broken Look Beautiful together with Lost Coast's Rustic Checkerboard Border. And this is how it looks in my chippie album. There are more details of how this was made over on the portal so please pop over and have a look. A really fabulous page Sue. The background is gorgeous and love the image is so striking. Two fab pages here, stunning work as usual my dear Sue. Love this great skull woman stamp! So beautifully featured here, love the details too. Really eye-catching images, and the words are amazing.